Niki is a Denver native that grew up experiencing everything the Colorado outdoors has to offer. Just over a year ago Niki picked up a fly rod for the first time and has been obsessed ever since. 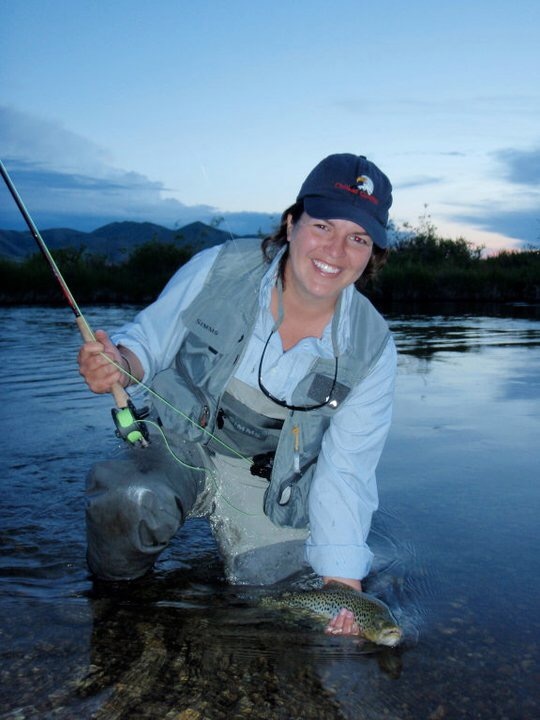 In that short amount of time, she has become a board member for The Greenbacks, an ambassador for WETFLY, and is excited to join The Mayfly Project as a mentor. David is originally from Little Rock, AR and started fly fishing on the Little Red River north of Little Rock when he was about 7 years old. Since then, he has fished in many places throughout the United States and has fallen in love with the sport. Fly fishing has been very good to David, teaching him conservation and allowing him to recharge and relax on the river, even when the fish aren't biting. He wants to share these gifts with others. David works in the real estate industry in Denver and is very happy to be a mentor for the Mayfly Project. 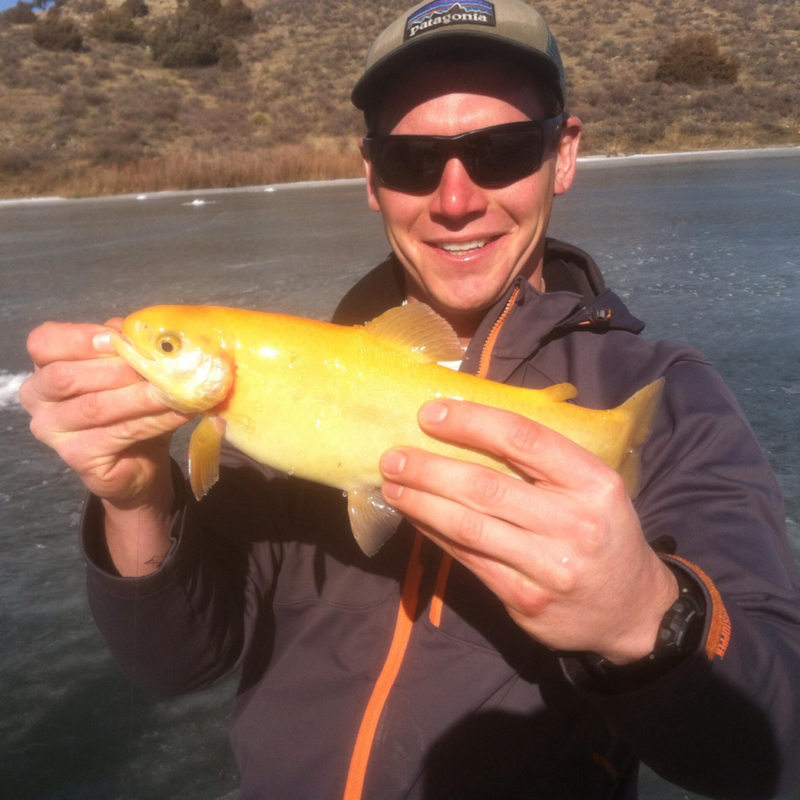 Austin started fly fishing in Colorado, cutting his teeth on summer dry fly fishing. In high school, he moved to Upstate New York, where he obtained his guide license and spent his time in pursuit of Lake-run Salmon, Steelhead and Brown Trout. As an Outdoor Educator, Austin loves nothing more than to get people excited about being outside, and has held positions such as a Camp Outpost Director and L.L.Bean's Outdoor Discovery School Coordinator for Colorado. He has made it a priority to invest in the lives of High Schoolers in the greater Denver area by working with local schools to provide programming to get their kids outside. Jane grew up fishing for salmon at the mouth of the Columbia River, and fishing for trout in the lakes and streams of Washington State. 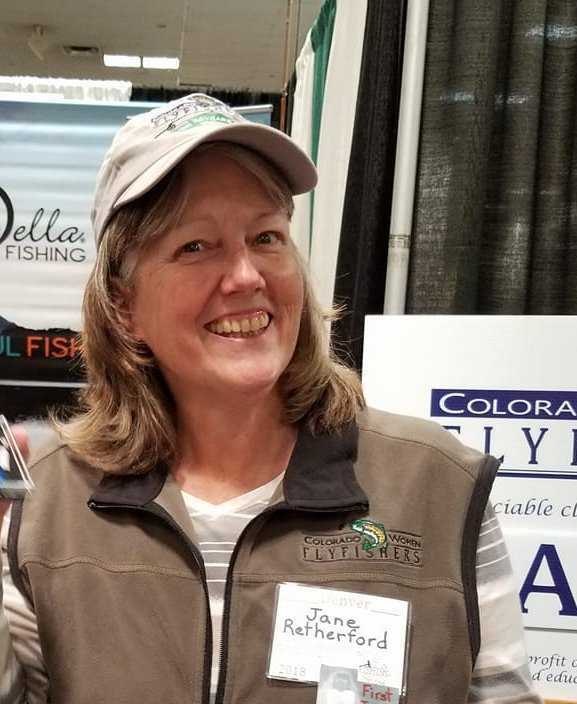 As a retiree, she returned to Colorado and started fly fishing in 2015. Although new to the sport of fly fishing, she ties and casts both western and eastern (tenkara) style bugs. As a mother of two (now adult) children, she is eager to mentor foster children in the joys of the great outdoors. Kristina is originally from Delaware and started fly fishing about seven years ago. Since then, she has worked throughout the U.S. and enjoys exploring new places with a fly rod in hand. 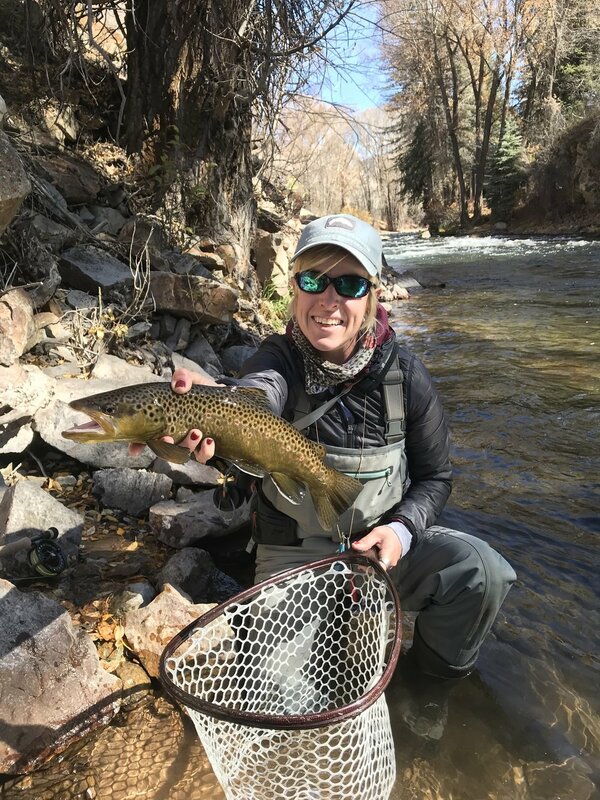 As a professional forester and former rafting guide, Kristina is excited to share her love of fishing and the outdoors with the Mayfly Project kids. Growing up in Ontario Travis learned to love fishing at a family cottage near Georgian Bay. When he moved to Colorado he started fishing for trout at Jefferson Lake and taught himself to fly fish by exploring the beaver ponds in the area. He has spent time living in Edmonton, Denver, and Aspen over the past 15 years- all great places to bring a fly rod. Travis enjoys working with kids and has been involved with youth hockey in the Denver area for a number of years. He is excited to combine his passion for foster care/adoption with his love of the water. Kim grew up in Littleton, Colorado and went to college in Boulder at the University of Colorado and then received her Masters at the University of Northern Colorado, where she studied Speech and Language Pathology. For the past three years, Kim has lived in Greenville, South Carolina. It was in Greenville that she took up fly fishing. After one time on a river, she was hooked and hasn’t looked back. Recently moving back to Colorado, she has enjoyed exploring her native state and finding new places to fish. Her favorite right now is the Poudre River in Fort Collins. She also enjoys working out, reading, cooking, sewing, skiing, and being around friends. Born in Texas and raised in Colorado. Bradeys loves the outdoors and is stoked to be able to teach fly fishing to others. Bradey began fishing at a young age but it wasn't until his Senior year of College he began fly fish. Currently located in Colorado he is our lead mentor in Colorado Springs. Bradey loves fishing rivers all over Colorado but would pick Cheeseman Canyon as his favorite place to fish. A recent transplant from Texas, Charlie is a 6th grade English teacher by trade, but spends all of his time on the water. He has fished/ lived in Virginia, Texas, Utah, and Colorado. Being a teacher, Charlie has a propensity for the betterment of all people he encounters. On the river or in the classroom, Charlie has always done his best to make sure everyone is happy and ready to have fun. Charlie has a natural temperament around children that allows them to feel welcomed and know that they are going to leave that day with a smile and a memory. Tight lines! Travis is a Colorado native who grew up in Evergreen. Growing up, baseball was his passion, but once he graduated from Colorado State University, fly fishing became his new addiction. Now, every chance he gets, he escapes to the river to enjoy the scenery and to challenge himself to become a better angler. Travis enjoys teaching his friends and co-workers the art of fly fishing and has had so much fun doing so, he and his good friend started a fly fishing reporting and forecasting website called FlyCast River Forecast that helps anglers of all skill levels have a fun day on the river. Travis is very excited about the opportunity to share his passion for fly fishing and the outdoors through the Mayfly Project. Chris is a Colorado native and grew up wading streams and flipping lures with his dad throughout the US. He started fly fishing while getting his engineering degree at Colorado School of Mines. Whether fishing, playing volleyball, camping, or wheeling in the Jeep, he loves getting to immerse in the beauty that the mountains have to offer. After getting exposed to the foster care system through the adoption of his niece, Chris is extremely excited and thankful for the opportunity to be a part of the Mayfly Project. Originally from Detroit, Michigan but considers the mountains her home. She's been an urban science educator for 8 years and also has taught with the United States Peace Corps for two years in East Africa. She loves doing anything active, both indoors and out. In her spare time you can see her running through trails, by a river with her rod, or on her yoga mat. She started fly fishing three years ago and was hooked (pun intended!) ever since. I began fishing with my dad at a young age in different mountain lakes around Colorado. I remember being bored and enjoying throwing rocks and exploring more than casting. However, I do have a fond memory of using a Silver Fox lure in Montana, catching 10+ trout in a mountain lake, and bringing back a stinger packed with fish to my surprised parents and family members. Fast forward to 2010 and I am following my dad around with a fly rod. It was frustrating to learn and I remember being tangled in more trees and bushes than actually having my line in the water. However, I stuck with it because feeling a fish on the line was such a thrill and being outside in beautiful, peaceful environments was a great getaway from the stresses of daily life. I finally became confident fly fishing in the beginning of 2017 and with that confidence began to fish and explore quit a bit. The summer of 2018 was a catalyst to my fly fishing journey thus far. I had some time off over the summer and began to take my friends and friends/family members of friends out fishing. I found I really enjoyed guiding and teaching those new to the sport. I enjoy taking my 6 year old son fishing and am excited to pack my 6 month old and get him on the water next summer. I'm excited to use my skills and excitement of teaching to help young people discover a sport that they can take with them and grow into wherever life takes them. Steve is a native of Ohio, where he spent every free minute of his childhood fishing local rivers and streams. After finishing his education, Steve fell in love with the mountains and moved to Colorado in 2007. He learned to fly fish through the generosity of many kind and interesting people, many of them strangers. Steve makes his living as an attorney in Denver. He is a husband and father of two adventurous kids and his fishing buddy Drake – a black lab. Steve spends as much time as possible fishing throughout Colorado and the west, camping, and exploring with his family. He is also an avid fly tier. Fly fishing has been an incredibly positive force in Steve’s life, and he is looking forward to sharing through his role as a Mayfly Project mentor. From Illinois. Lived in the Roaring Fork Valley for 13 years. Started fly fishing at the age of 13. Small businesses owner. Youth hockey coach. Army Veteran. Born in Massachusetts, a true New England fan, I moved to Aspen, CO six in a half years ago. Adjusting from the ocean to mountains has been quite the change for me. I grew up fishing in ponds, rivers and deep sea fishing. I learned how to fly fish shortly after arriving in Colorado, and haven’t stopped doing it since. I love being on the river, and teaching people new things. Loves sports, out doors, nature and adventures, and Greatful for new experiences. Steve is a Colorado Native who grew up in the mountains West of Colorado Springs. Steve's father taught him how to fly fish at the age of 8 years and ever since then he has been spending the majority of his time chasing trout, pike, bass, and anything else that will eat a fly through the Central Rocky Mountains and Western Colorado. Steve has a fierce passion for fly fishing and the outdoors and truly enjoys sharing that passion with others. Chelsea is a Colorado Native who grew up in the Foothills of Northern Colorado. She started fishing when she was a little girl with her Grandparents, and discovered her love of fly fishing over a year ago. Chelsea is a career firefighter for a department in Denver and loves serving her community. Her favorite things to do are escaping to the mountains, fishing, yoga, playing with her dog, and spending time with her boyfriend. Hi, my name is Bryan but most people call me Smitty. I've been fly fishing for about 20 years but have really been getting after it the past 10 years. Nothing makes me happier than rippin' a streamer across a huge river. I'm native to Colorado and do most of my fishing here and in Wyoming. I went to Colorado State University and have degrees in Natural Resource Management and Forestry with a concentration in fire science. I was a wild land firefighter for 7 years and now I am a full time firefighter with the Poudre Fire Authority in Fort Collins. I live in Wellington with my my girlfriend Chelsea, who is a Mayfly Project lead with me. Fly fishing is a huge part of my life and I'm excited to share my passion with anyone that wants to give it a try. Born and raised in Fort Collins, Colorado. Grew up fishing and hunting all over amazing Colorado. I remember crossing rivers on my dad’s back as he waded across. I have been fishing all of my life and fly fishing for about 15 years. I’ve been professional wildland firefighter for 12 years now being lucky enough to work and see some of our beautiful remote areas in all of our western states. I have a wonderful wife and two amazing boys. I love helping others grow and teaching what I know. In my spare time I enjoy being with my family & friends, fly fishing new areas and backpacking in for archery bull elk! I’m beyond excited to be part of this amazing project and show and grow passion to kids about fly fishing and conservation. Matty was born and raised in the cornfields of North East Indiana. As an avid hunter in Indiana, passions quickly switched gears once moving to Colorado and were introduced to fly fishing. 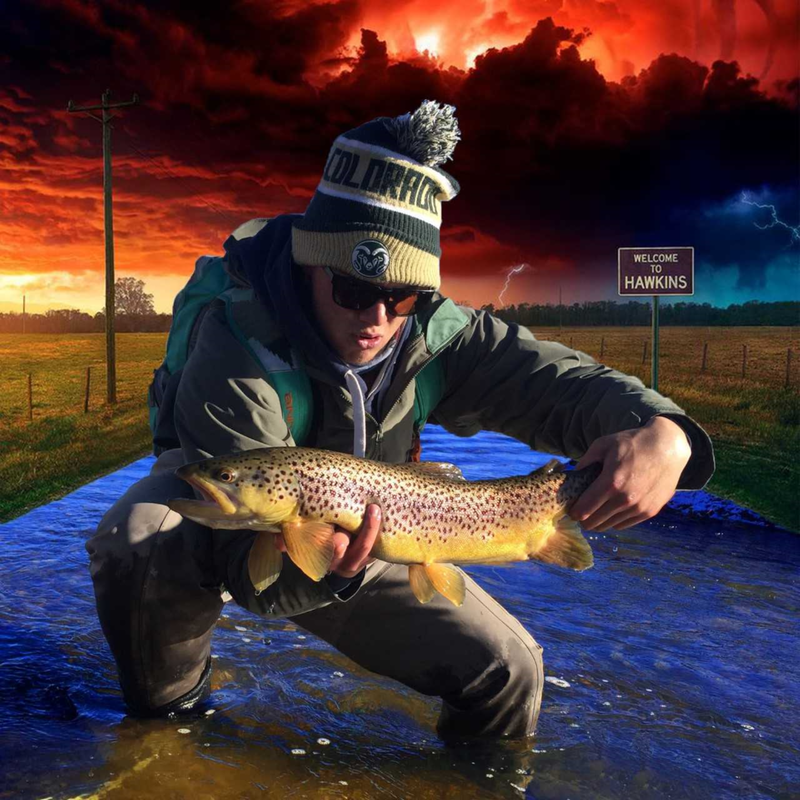 Matty is currently pursuing a degree in Wildlife Education at Colorado State University – Pueblo, and when he’s not with his family, he can be found fishing the Arkansas Tail Waters or high mountain lakes. Lauren is a Colorado native who grew up just west of Colorado Springs. She has always been drawn to the water and started fly fishing 3 years ago. She has a passion for the outdoors and spends most of her time on her mountain bike or fishing in the mountains. Laurens all time favorite place to fish is on the head waters of the Big Horn River in the Wind River canyon located in Wyoming. Lauren is more than excited to be a part of The Mayfly Project team! Luke is a Colorado native, growing up on the front range of the Rocky Mountains in Colorado Springs. During high school he expanded his passion for fishing and picked up a fly rod. Learning in eleven mile canyon taught him the intricacies and beauty that exists in this environment. He brought his passion to Washington state where he attended Whitworth University. 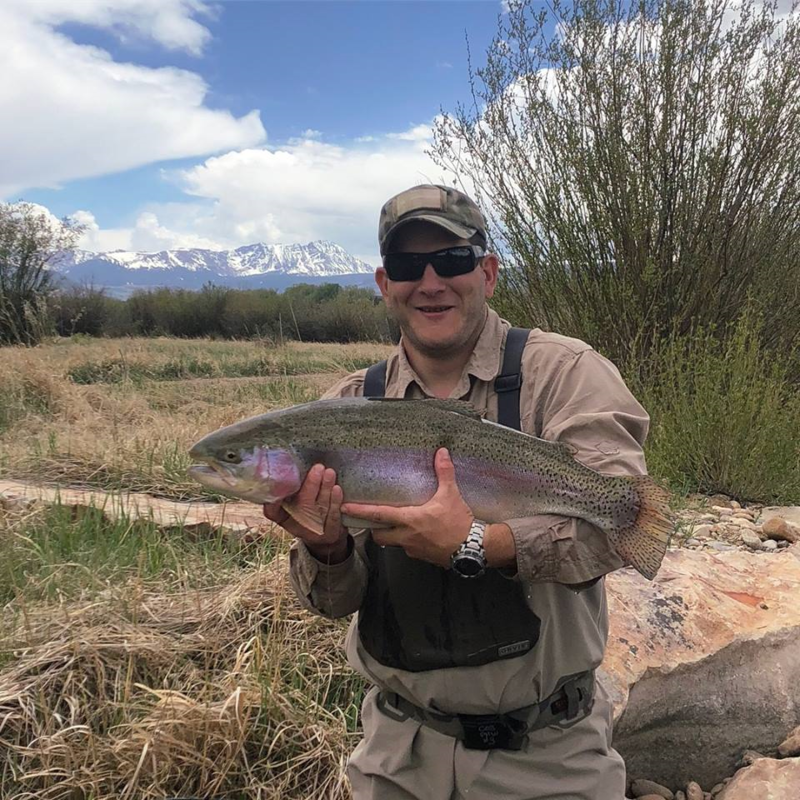 As a student pursuing a biology degree with aspirations to become a doctor, he also founded the Whitworth Fly Fishing Club with a buddy where he was able to share his passion with others. 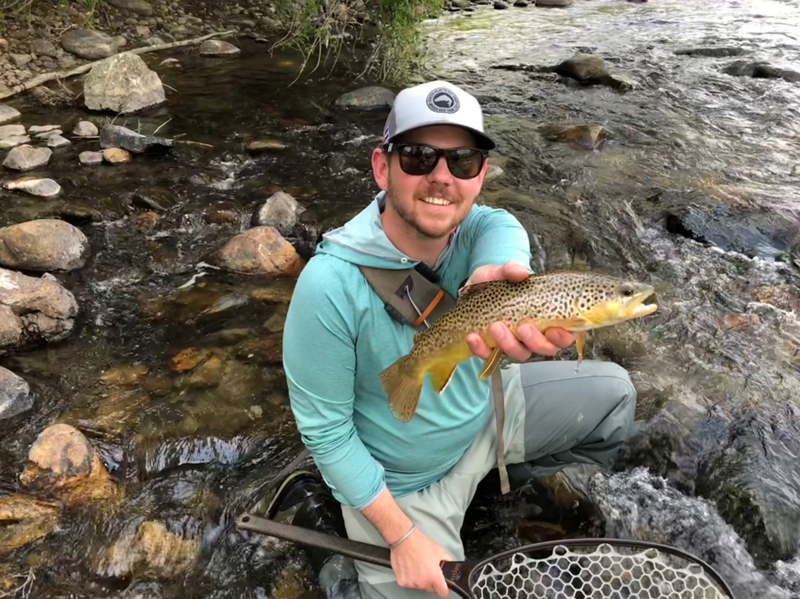 In the midst of college summers, Luke guided for South Platte Fly Shop in Woodland Park, Colorado. Currently he is working as a medical scribe in Colorado Springs and is fishing when ever possible! Luke is very excited to be sharing in the fun and enriching environment as a mentor for The Mayfly Project. Mike is a Colorado native, growing up in Pueblo, CO. Growing up he spent his spare time fishing at the Pueblo Reservoir, camping, and enjoying the outdoors. Mike began fly fishing and soon traded in the lakes for the rivers. With a background in law enforcement Mike is passionate about building up his community and making the streets safer for all to enjoy. He believes in staying active and being outdoors. He enjoys taking his three sons fishing, and is looking forward to being a positive role model and mentor for children; helping them to build confidence, skills, positive relationships, and a love for the outdoors. I am a native Texan, now a Texpat living in sunny Colorado! I moved to Pueblo, Colorado to attend Colorado State University. I am a full time student in my junior year seeking a Bachelors degree in Wildlife and Natural Resources Conservation. I am planning on getting my masters as well, and hope to become an active member of the conservation community as a Wildlife Biologist. I am also an Army veteran. I served for five years, with the bulk of my service being stationed at Fort Hood, Texas. I was enlisted as Radio Communications Security Repairer, and left the army honorably as an E-4, Specialist. I am a proud outdoorsman, hunter, and fisherman. I got "bit by the bug" of fly-fishing when fellow veterans introduced me to the incredible (frustrating and exhilarating) sport soon after moving into Colorado. I had only ever seen fly fishing in Texas once growing up, and its casting methods mesmerized me into wanting to take up this elusive pursuit of fish on light tackle an fly line. Being able to share the skills I've learned from fly fishing, and sharing the immensely positive experiences that come when the fish takes the fly, and lighting jolts your fingertips with those not so far behind my own journey. To be an ambassador to the joys that nature can provide in spades to the future champions of our wild places, it is a true honor and delight to introduce this world to the children in my community.